They may not yet have a great handle on what it is, but astronomers are getting closer to understanding the nature dark energy, the force believe to be behind the expansion of the universe. In a new research paper published in the journal Science, astronomers are reporting a new method for measuring the distribution of dark energy in the universe. Eric Jullo, an astronomer at NASA's Jet Propulsion Laboratory, said the new method would help scientific estimates of dark energy improve by about 30%. 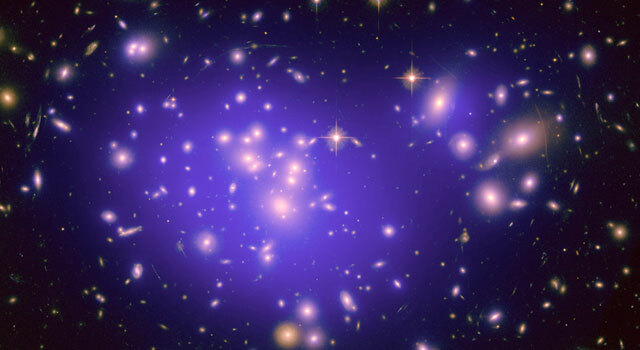 "Dark energy was discovered in 1998 with our first measurements, so I'd say that we still are at the very beginning (of understanding,)" Jullo told CBSNews.com. "I hope by the end of the decade we'll understand much more about dark energy."